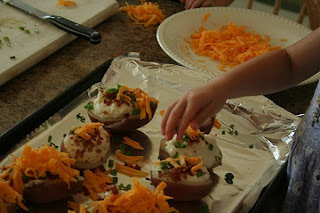 After toying with lots of different ideas for circle time, I came upon Jennifer's post on her Morning Basket. I loved her decision to fill the basket with a "collection that could almost stand on its own for the day's work if needed." How different this idea was from the circle times I shared with my first-grade students a few years ago! 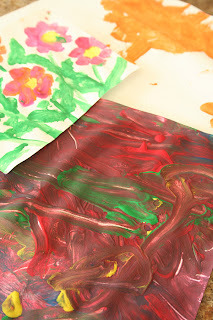 Art: Each evening before I head off to dreamland, I plan to lay out art materials for my little ones to work on while I make breakfast. Monday will be painting, Tuesday is coloring, Wednesday is watercolors (pan or pencil), Thursday is play dough, and Friday is collage. 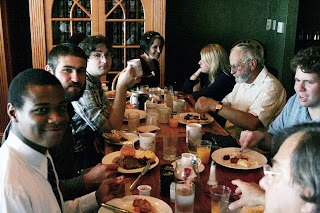 Blessing: Once breakfast is on the table, the prayer we will sing before meals will either be the festal toparion for the day or the Our Father. Weather: While we eat, we will discuss the weather and the things we will accomplish during the day. We have a cloth weather chart from my teaching days that we'll use initially. Music and Poetry: While we clean up, we'll recite nursery rhymes and short poems and sing songs. I plan to start with listening and singing to Wee Sing Rhymes, Songs, and Lullabies. Morning Prayers: We'll finish up our Breakfast Learning by saying our Morning Prayers with Papa (we wait until he gets up and gets ready for his day before we pray as a family) followed by a story from our Children's Bible. Well, the baskets are packed, but we can still do a low-key theme this week! We'll be reading the books that you see here as well as a few that I hope to borrow from the library later in the week. 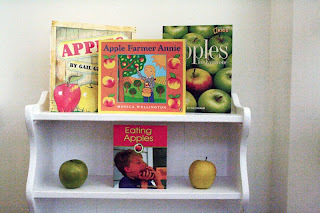 I recently found Apples for Everyone at Barnes and Noble and loved the book! It is full of gorgeous photography and easy to understand information on apples. There are several other books in their series for the season of Autumn that we will read later as well (one on Pumpkins and a phenomenal one on Pilgrims!). 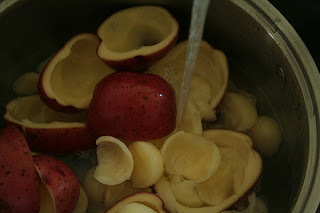 I plan to try to fit in apple printing, apple snacking (I found little containers of caramel dipping sauce at the market today, and a few games of hide the apple (we'll take turns hiding the apple somewhere in a room while the others keep their eyes closed and then try to find it). I'd also like to try to introduce using an apple slicer to Sugar Plum, but I'm not sure if she has the strength to push it down through the apple. 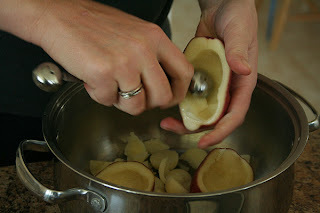 If I had time to order an apple peeler and I thought that we would get enough use out of it, what a neat addition to this week's activities it would be! I'm saving the sour cream apple pie making for a few weeks... I can't wait! Brunch at a restaurant overlooking the ocean! 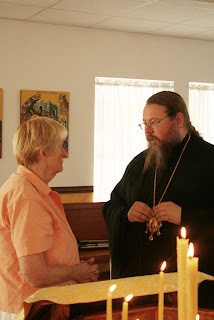 Metropolitan Jonah arrived at the church on Saturday afternoon and spent over 1 1/2 hours speaking with members of our community on various subjects relating to Church life at the global, national, and local levels. 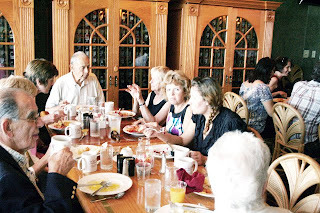 The discussion was followed by the service of Great Vespers and a meal with the Parish Council. I forgot to mention on Monday that I took the week off from preparing a learning basket for my little ones. I wanted to focus on finishing up my plans for our school year. We will be starting on September 1st, the Church New Year. I am really excited about the things that we have planned for this year and will write a few posts on some of the components of our lesson plans in the next few days. I have a few special things planned for our first day of school: Church in the morning (we'll be doing this service, an akathist), a special breakfast, and I hope to get our little girl a toddler backpack as a gift. 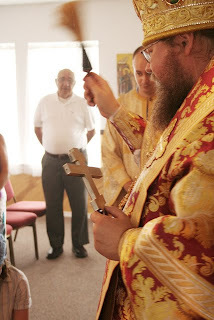 We'll also get a blessing from Metropolitan Jonah with the rest of the teachers and students on Sunday when he visits! 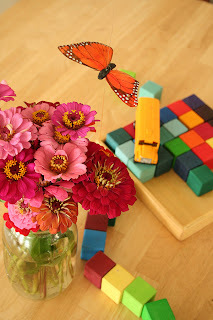 What special things do you do to mark the beginning of the school year in a special way? Here's the house we are hoping to buy! We found it while we were waiting for months for the bank to make a decision on the first house. 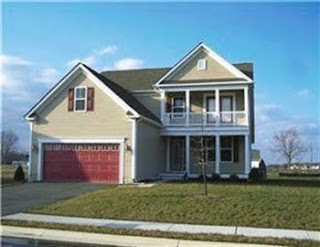 I am glad that we waited, because this house has everything we were hoping for and more (hooray for a full basement!). We are scheduled to close on the third of September and if all goes well, we'll be moving next Friday! Please say a prayer for us! I was making french toast for the children this morning and cracked three eggs in a bowl, poured in a little bit of milk, and sprinkled in some ground cumin. Fortunatly, I realized my mistake before dropping in the bread! Ugh! 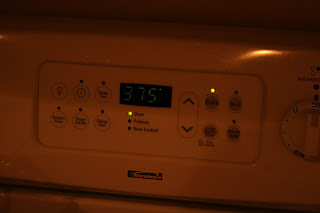 Off to re-read Leila's blog post, My Secret for Getting Up On Time. Not for Morning People. 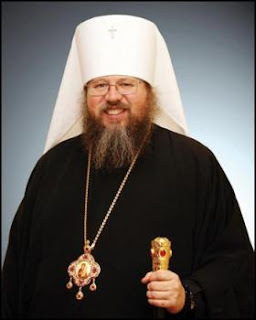 _______ Orthodox Church will welcome His Beatitude Metropolitan Jonah, Archbishop of Washington, Metropolitan of All America and Canada – the Orthodox Church in America’s top administrative and spiritual leader – on the weekend of Aug. 29-30. 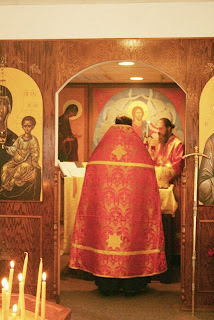 Fr John went on to note that Jonah’s election as Metropolitan took place in Pittsburg, Pa., in November 2008, at the All-American Council – a meeting of the bishops, together with clergy and lay representatives from the Orthodox Church in America, which consists of more than 700 parishes, missions, communities, monasteries and institutions located in the United States, Canada and Mexico. 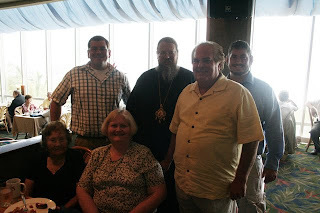 Although Orthodox churches are commonly classified as either Greek or Russian, Fr John explained that the hierarchy of the Orthodox Church is not tied to any particular ethnic group. 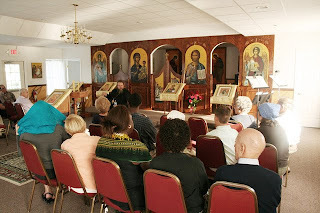 Fr John explained that the Orthodox Church has never had a worldwide, centralized government like the Papacy; instead, each local church governs itself in mutual accord with all the other local Orthodox churches. 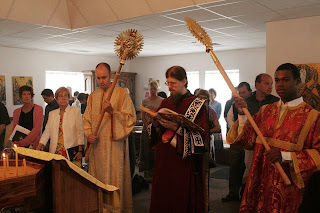 The Metropolitan’s visit is coinciding with the new church year, which begins on Sept. 1, and the parishioners at the mission, which was established in 2000, are very excited about his visit. 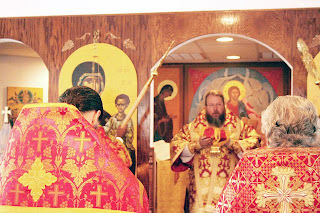 “Anytime an Orthodox Christian bishop, one of the historical descendants of the Apostles, visits a local parish community, it is a special occasion. 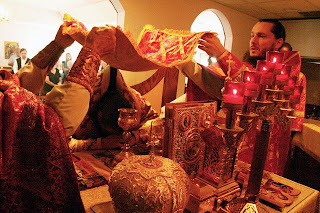 But, this time, we are pleased to welcome one who not only stands in this historical line but also has acquired the apostolic spirit,” said Fr John. Jonah will serve Vespers at 6 p.m. on Saturday, Aug. 29. 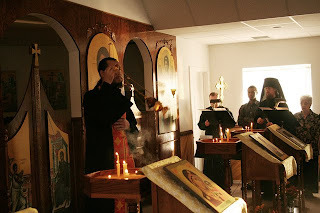 Vespers is an evening service, usually served around sunset, that includes psalm readings, hymns and special prayers. 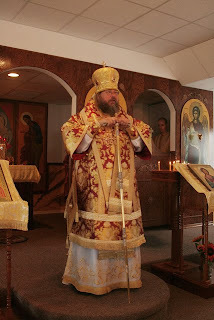 On Sunday, Aug. 30, he will serve the Divine Liturgy at the church at 9 a.m. and then share in a brunch. 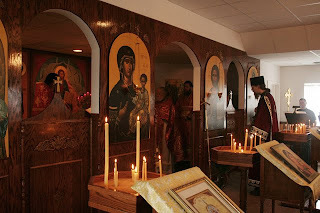 The church welcomes all visitors, both Orthodox and non-Orthodox alike, to be a part of this special weekend. 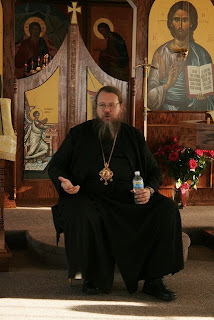 Fr John was interviewed for a local paper this past week regarding the visit Metropolitan Jonah has scheduled for our parish! 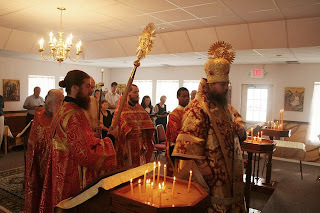 It is a lovely full page article on the Metropolitan and Orthodoxy! 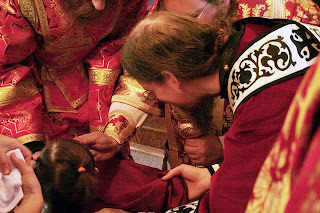 I love this photo of the newest member of our parish just as the service for her baptism begins. The poor little one had a cold, but did splendidly! Things are busy around here! We are starting to pack everything up in the house in preparation for our move (which should be sometime before September 8th). 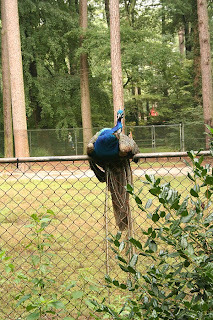 We have also had two to three house showings a week where we are asked to be out of our rental for one to three hours per showing which has made things a little crazy. With the demands of the church, Fr John's business and two little ones (who've been dubbed Naughty One and Naughty Two behind their backs! ), things are hectic! 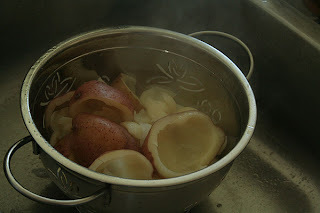 First, hollow out some red skinned potatoes. I used five this time. 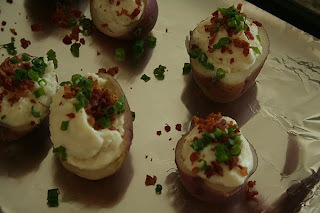 Next, cover the potatoes (skins and all!) with about and inch of cold water. Put the covered pot on the stove with the heat on medium high. 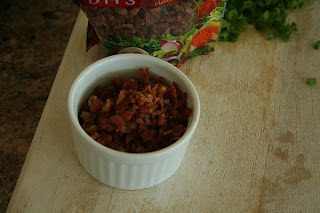 and either fry a few strips of bacon and crumble or use some that's prepackaged. 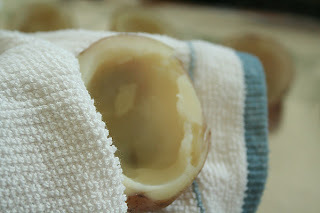 When your potatoes are boiling, remove the lid and set the timer for 15 minutes. 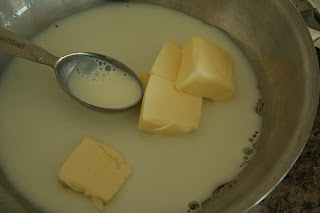 Add milk and butter to a saucepan (I usually put 1/2 a tablespoon of milk in for each potato and 1/2 a tablespoon of butter in for every two potatoes) and melt it on low heat. 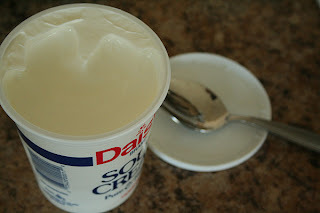 Open up a container of sour cream. 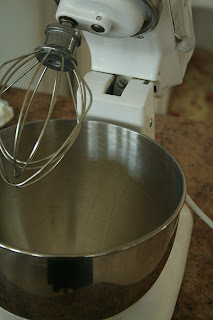 Get out your mixing bowl or potato ricer. 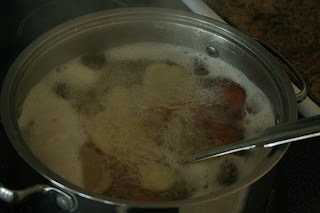 When your potatoes are done cooking, dump them into a colander. 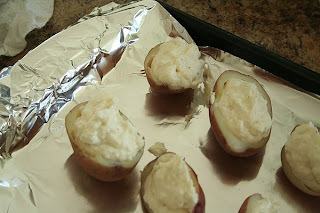 Dry off the skins and put them onto a foil lined cookie sheet. 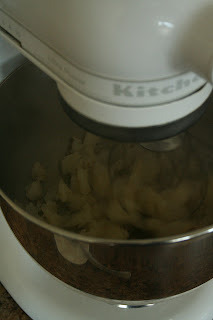 Dump the potatoes into the mixer, turn it on low and slowly add the milk and butter. 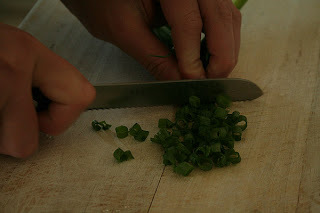 Scrape the sides if needed. 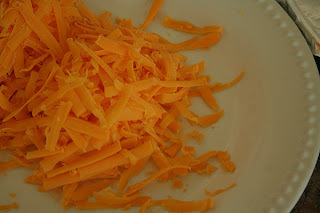 Add salt and pepper to taste and one or two tablespoons of sour cream. 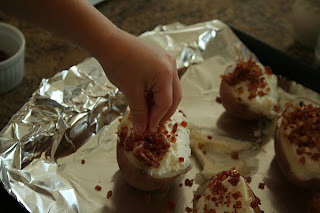 Scoop the filling into the potato skins. 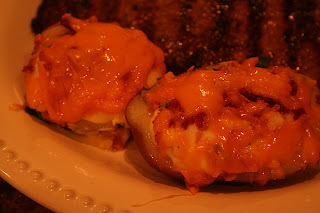 Slide the potatoes into the oven for ten minutes on 375 degrees. 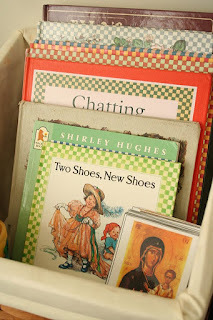 The theme of this week's Learning Basket is Shirley Hughes. I do want to point out that we got many of these books on Paperback Swap and didn't pay $100 for a children's book! 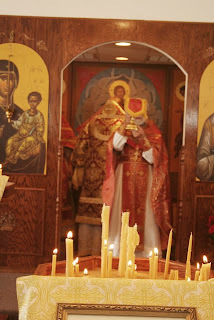 We will also be continuing with Katherine's lesson plans for the Mother of God. We'll keep lighting our candle until it's gone and we will keep using the three part cards Katherine created as matching cards. 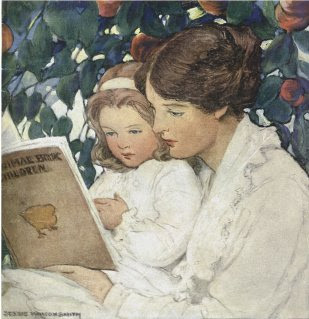 We've received our copy of The Story of Mary the Mother of God and will be enjoying that this week as well! 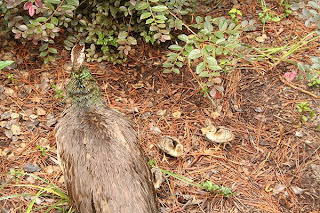 We visited out local zoo for the first time in months today and got to see a peacock family! They were so sweet! Living and Learning for August..